Naturally red thanks to the addition of delicious nutritious beetroot powder and full of gelatin goodness - yum! 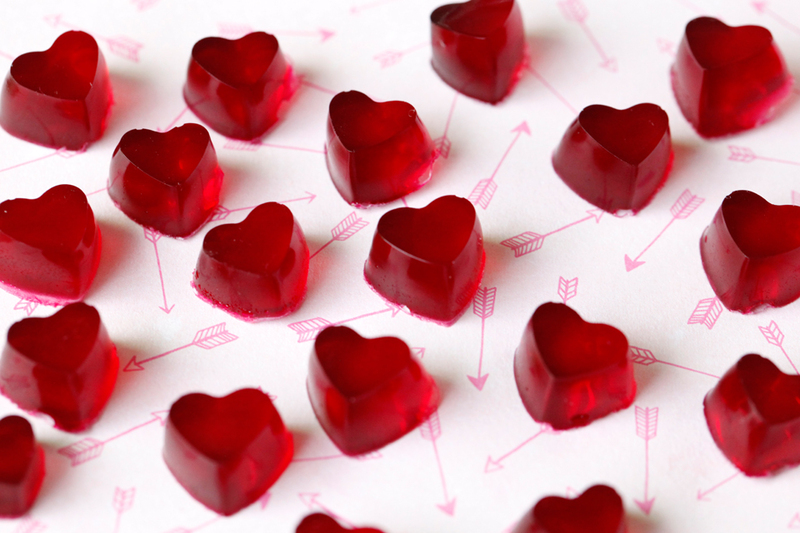 These mini hearts are smaller than my usual gummy treats, but are a great example of how easy it is to scale any recipe to suit the size of you pet. No complaints from the taste testers here as the smaller the treat the more guilt-free giving...haha! The mold was a present for Momma from Santa Paws, and makes the cutest little hearts - I couldn't resist trying it out. I can't wait to use it for carob! 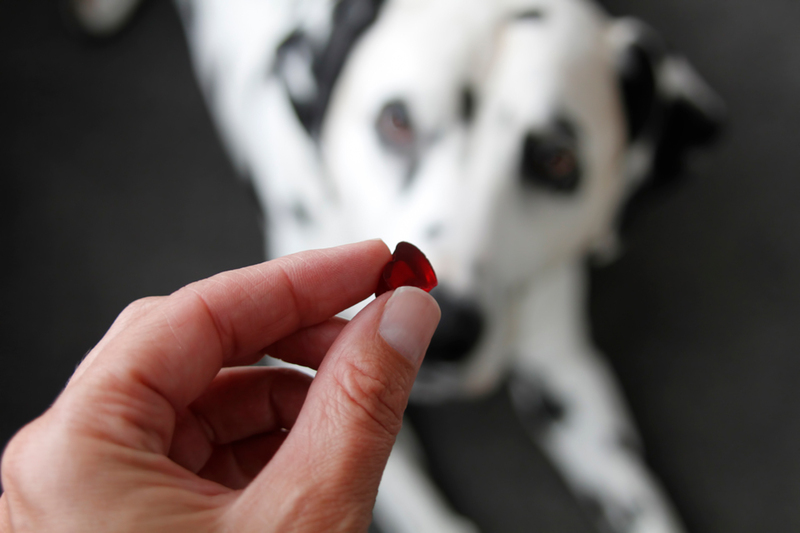 Our pictured treats are often larger as our dogs are big boys, but you can bake anything smaller or break/cut into little bite-sized pieces. Doggy chocolates and gummies are harder to break, so its easier to buy a mold that suits your pet and make them to scale. Measure water into a small saucepan and stir in the beetroot powder.Sprinkle the surface with gelatin powder and let sit for approximately five minutes or longer for the gelatin powder to bloom/gel. Gently stir the mixture over low heat until the gelatin is completely dissolved. Take care not to shortcut with high temperatures or overheat, as this can reduce the setting strength of your gelatin. Remove from heat. Pour into your mold(s). Chill to set fully before removing from molds. My dogs like the smell of "plain" and will happily accept plain gummies (gelatin and water), but a little tasty boost of chicken stock never goes astray. :) In experimenting with volumes, adding clear/strained stock works best to keep the gummies transparent, if you want them to be clear. Cloudy is fine as well, just a bit different than the pictured treats. Light stocks work better than dark stocks for tinting, as the stock can have a significant affect the colour.